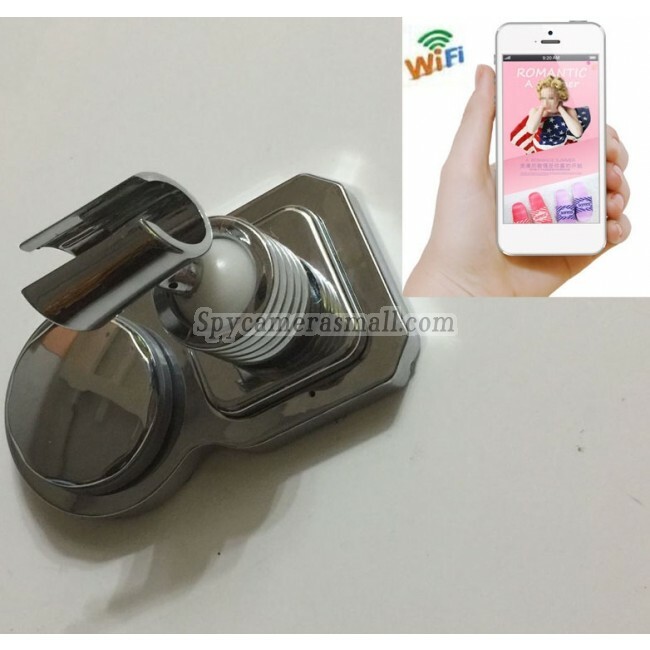 This Wireless Hidden Camera for Bathroom is so silent when it works,no doubt it can be a perfect spy camera.The hidden camera is tiny and its position is so secret,you can use it to shoot a lot of exciting videos.It has high definition which is up to 1920X1080, you can get vivid videos without difficulty.Its a mini device that with wifi system which is built inside a unnoticeable shower rack,This Wifi Spy Camera can work anytime and anywhere even when you are at the corner of the world,for example you can watch your baby in USA while you are in England,you just need a WIFI network and iOS/Andriod Smart Cellphone or win10 PC to monitor.This Wifi-Wireless Spy pinhole camera has built-in Wifi base,just download The APP and instruction which is along with the device,quite convenient to use.No wonderful things can avoid this professional spy pinhole camera. Hidden Spy shower rack Camera with Built in Wifi Antenna System. This Wireless Hidden Camera for Bathroom operation is fast and convenient, easy to record everything you want. Item received on time and as described. Its a really useful gadget. Great product for the price. Video quality adequate to the price. Nice camera to have fun with kite.